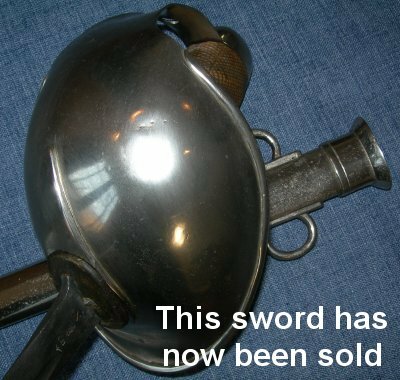 Exceptionally scarce unblackened World War One cavalry sword; most 1908P's were blackened for battlefield use; this one, dated March 1915 was spared. 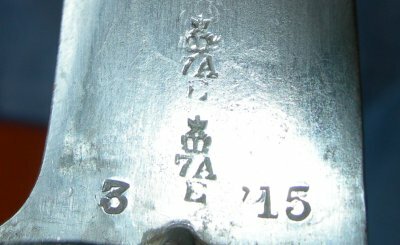 Proof, crown acceptance, date and model marks in various places on the blade ricasso / forte and spine, plus to the scabbard. The bowl has a few small pin dents, the blade some patina, the grip a little worn (from being held) but overall in very good order. Further pictures available upon request.